Sam Lattimore meets Elizabeth Church in 1970s Halifax, in an art gallery. The sparks are immediate, leading quickly to a marriage that is dear, erotically charged, and brief. In Howard Norman’s spellbinding and moving novel, the gleam of the marriage and the circumstances of Elizabeth’s murder are revealed in heart-stopping increments. Sam’s life afterward is complicated. For one thing, in a moment of desperate confusion, he sells his life story to a Norwegian filmmaker named Istvakson, known for the stylized violence of his films, whose artistic drive sets in motion an increasingly intense cat-and-mouse game between the two men. For another, Sam has begun “seeing” Elizabeth—not only seeing but holding conversations with her, almost every evening, and watching her line up books on a small beach. What at first seems simply a hallucination born of terrible grief reveals itself, evening by evening, as something else entirely. 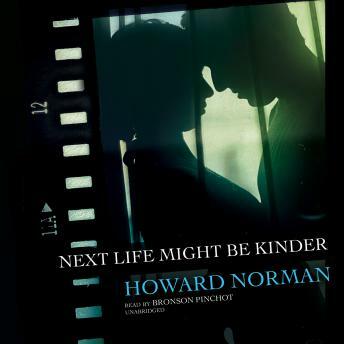 Next Life Might Be Kinder is a story of murder, desperate faith, the afterlife, and love as absolute redemption—from one of our most compelling storytellers at the height of his talents.